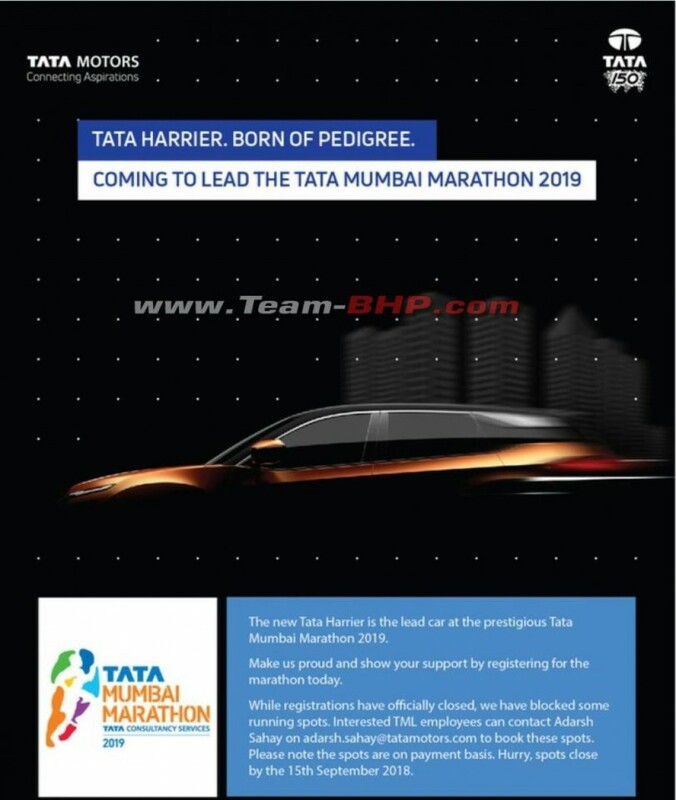 Tata Motors is going to reveal the production model of Harrier in January as the flagship SUV will be the lead car for Mumbai Marathon, which is going to take place on January 20, 2019. The price announcement is expected to take place soon after that. The concept model of Harrier made its official debut at 2018 Auto Expo. The company is testing the new model extensively across different parts of the country and it is based on new modular OMEGA platform, which will underpin Tata models above 4.3 m in length. This platform is based on JLR D8 platform, which underpins Discovery Sport, but Tata Motors has made lots of changes to make it cost effective. The design of Harrier is going to be one of its big USPs as production model will carry forward most of the design elements from the concept. The front gets new grille along with split headlamp setup as conventional headlamp position is occupied by LED DRLs and actual headlamps are placed slightly lower. The Harrier gets muscular bumper at the front along with fog lamps placed on the edge. The company has also given faux skid plates at front and rear. The Harrier also gets black plastic cladding running across the body. Tata Motors has given big wheel arches and we can expect, Harrier to be offered with 17 or 18-inch wheels. The unique design of window has been carried forward to the production model and the rear gets split LED tail lamps, which extend towards boot. The interior of Harrier is different from any other Tata models and we can expect the quality of materials to be top notch. The Harrier will be offered with five seats as the seven-seat model will be introduced later. The SUV comes with lots of features like a touchscreen infotainment system, climate control, cruise control, automatic headlamp, leather seats, reverse camera with parking sensors and more. 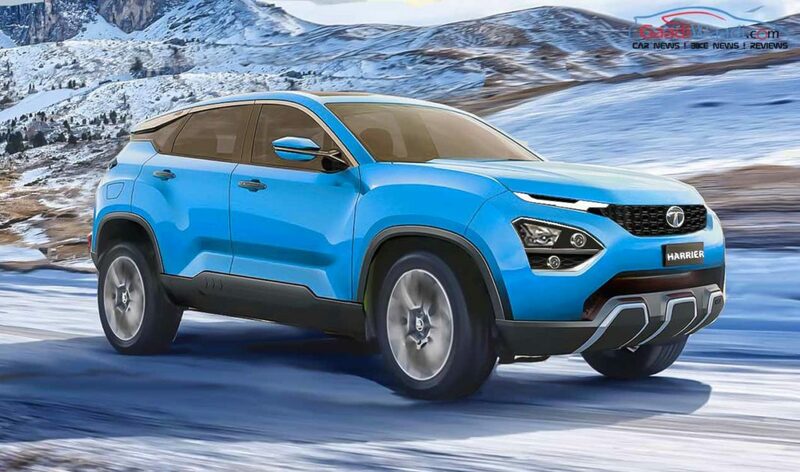 Tata Harrier will be powered by 2.0 L diesel engine sourced from FCA producing 140 hp and it will be mated to a 6-speed manual and automatic transmission from Hyundai. The Harrier will be priced aggressively against competitors.